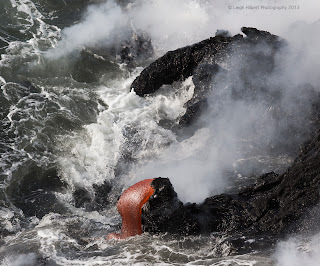 Lava continues entering the ocean seven miles downslope of Pu`u O`o crater on the south side of the Big Island. 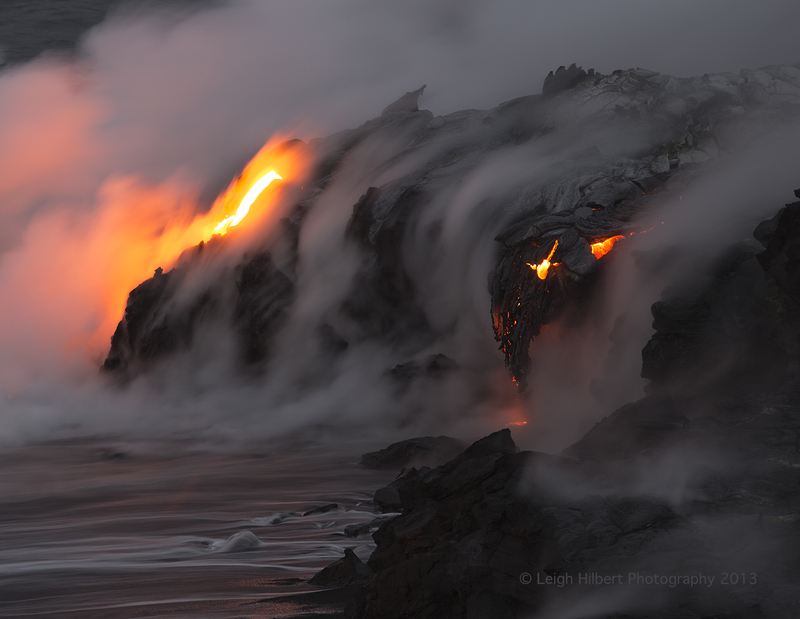 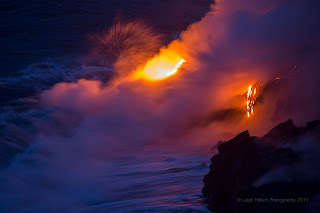 The daytime ocean entry steam plume and evening lava glow can be viewed from the Hawaiian County Lava Viewing Area located off the very end of Highway 130 near Kalapana. Here are a couple more early morning photos taken this week. Click on any image for larger image sizes of all photos. 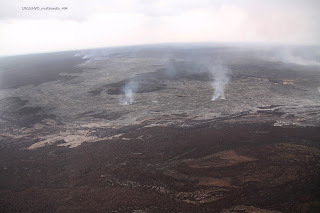 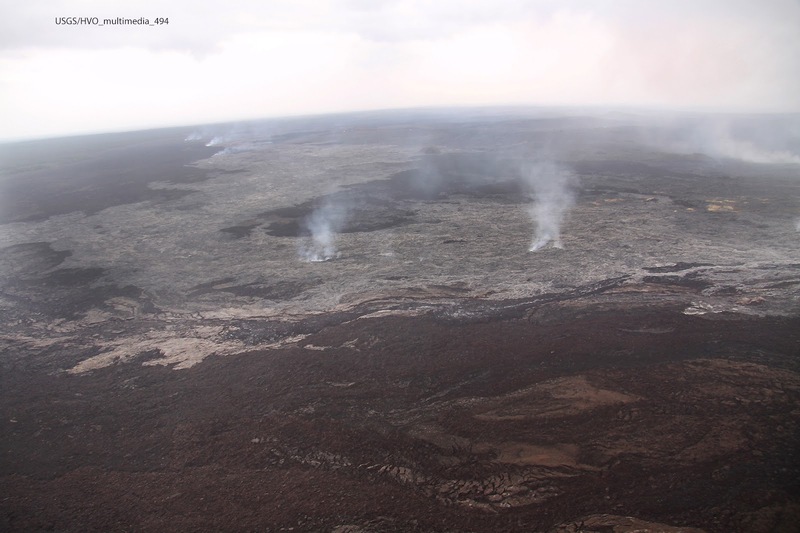 Meanwhile, up on the other side of Pu`u O`o lava continues slowly advancing northeastward. 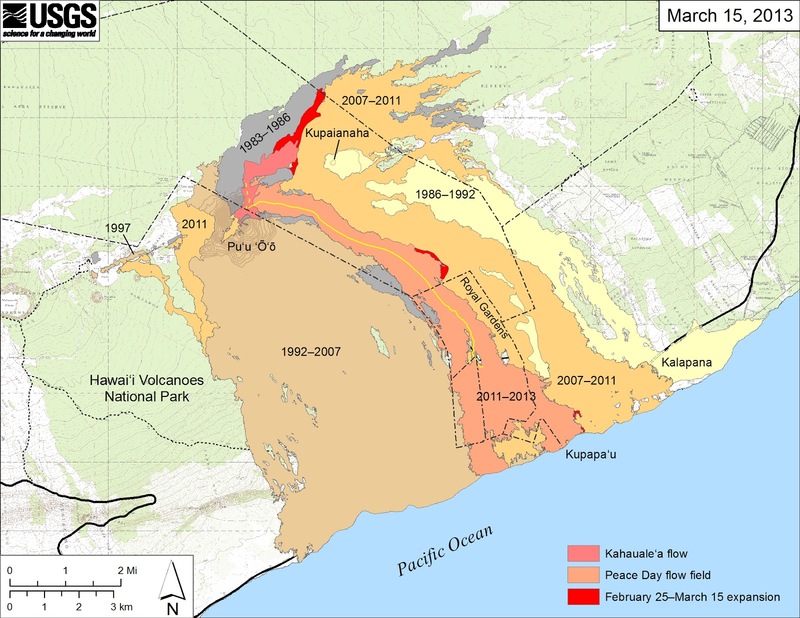 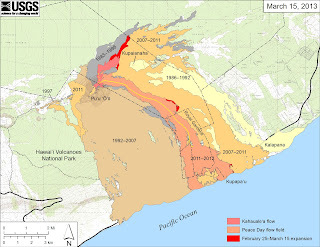 This could still become a potential new hazard either near Pahoa Town or Ainaloa subdivision... or it could possibly turn southerly and drop down towards Kalapana area... Or simple continue to sprawl across the flatter terrain it currently flows at... Or cease altogether--- It is worth keeping an eye on.